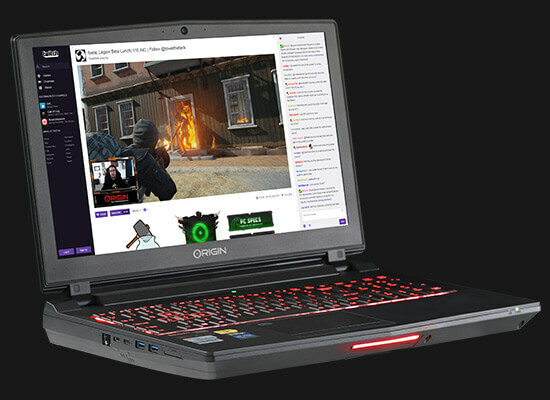 Take desktop power anywhere with the ORIGIN PC EON15-X custom gaming laptop. 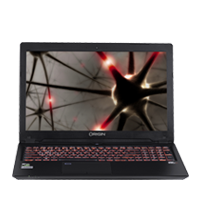 The high-performance EON15-X is lightest EON laptop to feature up to an overclocked 8th generation Intel Core i7 6-core desktop processor and up to an overclocked NVIDIA GeForce GTX 10 Series desktop-class graphics card engineered to run the latest games with high framerates. Professional overclocking on the desktop CPU and select GPUs will turn your EON15-X into a mobile powerhouse, so you can stream, render, and play games better than your average gaming desktop. 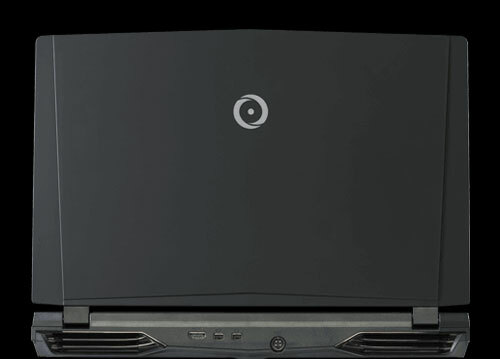 The EON15-X gaming laptop was designed from the ground up for the mobile power user. The 1.5 inch thin chassis combines the slick design of a sports car with the sturdy construction of an SUV to handle the rigors of your daily tasks. The matte black, matte red, or glossy white ORIGIN PC panel on the top cover of the EON15-X looks phenomenal in any setting. With built-in features including Sound Blaster X-Fi MB5, Bluetooth connectivity, and a 6-in-1 media card reader, the EON15-X is outfitted for today’s PC road warriors. When the workday is done, take advantage of NVIDIA’s latest GeForce GTX 10 Series graphics cards to run any of today's latest games. We believe in giving you the highest performance possible on your EON15-X gaming laptop, which is why we offer NVIDIA GTX GeForce 10 Series desktop-class graphics cards that offer true desktop-class performance over lower clocked Max-Q GPUs in other laptops. The EON15-X has a higher base clock speed and greater performance in your favorite games closely resembling performance in a desktop. Paired with an overclocked Intel Core 8th generation desktop processor, your EON15-X packs a greater punch than other laptops or desktops on the market. If you need the most power and performance on the go, the EON15-X has you covered. Never sacrifice on power and portability. The EON15-X gaming laptop can be equipped up to an 8th generation Intel Core i7 8700K 6-core desktop processor on the Z370 chipset. This desktop processor is designed to handle today’s applications and games with ease in a laptop chassis under 1.5 inches thin. 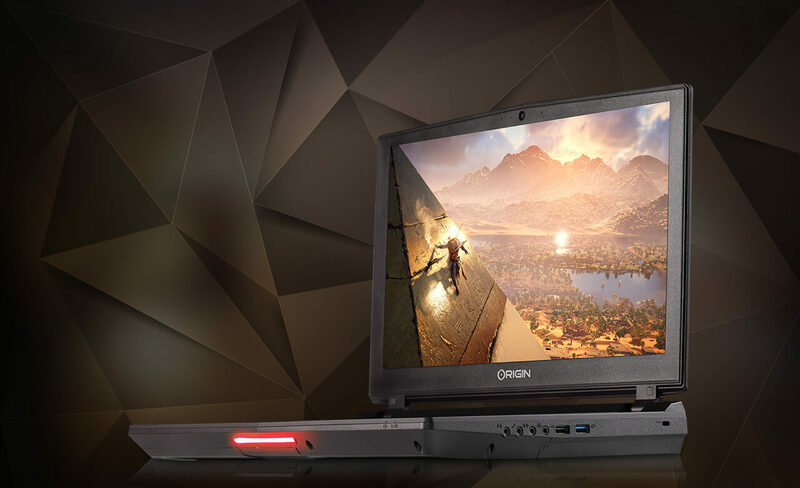 The EON15-X harnesses the latest 10 Series NVIDIA desktop-class GPUs with up to 8GB of video memory. Sometimes you’re just not able to take your desktop everywhere. If you need to keep practicing your skills in today’s top esports games, the EON15-X has the power to keep you at the top of your game. Customize your EON15-X with an overclocked Intel Core CPU and an overclocked NVIDIA GeForce GTX GPU for maximum mobile performance, so you’ll never have to worry about dropped frames. Add SSDs to your laptop so you can quickly load up your games and get to practicing sooner. Need to stream on the go? The EON15-X has the processing power to handle the heavy load of streaming and gaming at the same time thanks to the 8th generation Intel Core processors. If you ever need any help with your EON15-X, our 24/7 support team are on standby to keep your system running. Gone are the days of getting by with an underpowered laptop. Even for a novice user, current applications, games, and programs require a laptop that can multitask. 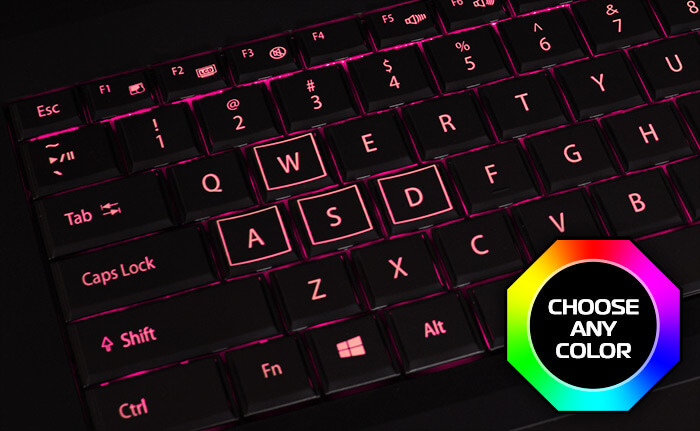 The ORIGIN PC EON15-X delivers a custom gaming laptop solution that provides you with all the tools you will ever need to complete any task. With our professional overclocking service, we’ll overclock your Intel Core processor or your NVIDIA GeForce GTX graphics card for maximum performance on your EON15-X. Run the latest game titles at breakneck speeds with an EON15-X gaming laptop powered by an 8th generation Intel Core i7 8700K desktop processor on the Z370 chipset. Multitasking is a breeze when you can open several programs at once with no slow down thanks to Intel’s Hyper-Threading technology. Increase your productivity and free up more time for the finer things in life. For gaming enthusiasts, configure your EON15-X with an overclocked Intel Core i7 processor for unmatched performance in today’s popular game titles. Our professional and experienced team can handle the overclocking for you so you can unleash additional power for higher frame rates and smoother in-game performance for the ultimate gaming experience. 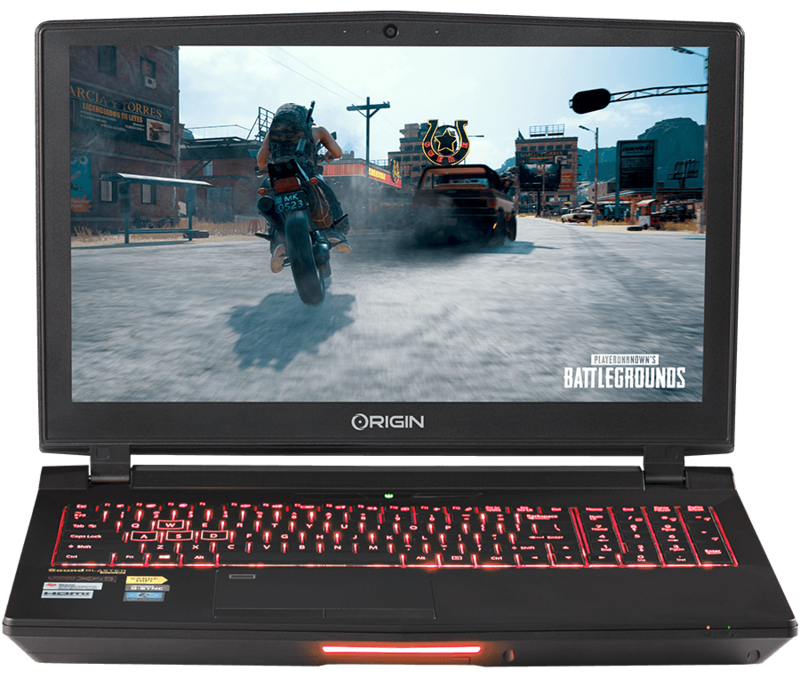 Experience high-definition graphics and video on your EON15-X gaming laptop powered by NVIDIA GeForce GTX desktop-class graphics cards capable of outputting up to 3 external monitors. Treat your optic nerves to crystal-clear images on a gorgeous 1080p IPS G-SYNC display and immerse yourself in games, high-definition movies, and more. Built for DirectX 12, NVIDIA “Pascal” GeForce GTX desktop-class graphics cards inside the EON15-X deliver unparalleled gaming realism and advanced detailed environments for a whole new level of game immersion. Take mobile gaming to a whole new level with NVIDIA’s SHADOWPLAY™, G-SYNC™, and GameStream. Capture, share, and stream your best gaming moments on the go like never before! The latest games and productivity software require more system resources. Say goodbye to system lag and hello to maximum processing power when you configure your EON15-X gaming laptop with up to 64GB of high speed DDR4 2666MHz RAM. Adding additional memory allows system intensive programs and multiple applications to run faster without system slowdown. Never leave any of your important data behind. The EON15-X features up to dual Solid State Drives and support for dual PCIe or SATA m.2 drives in RAID giving you accelerated access to your data and media. ORIGIN PC’s hard drive options have the capacity to hold all of the games, music, videos, and pictures you could ever need on the road. Want to connect wirelessly? Connect via high-speed AC wireless with over 1.3Gbps transfer speeds. Every GPU in the EON15-X is VR Ready, harnessing the power of NVIDIA’s GeForce GTX 10 Series graphics cards with full desktop-class performance. 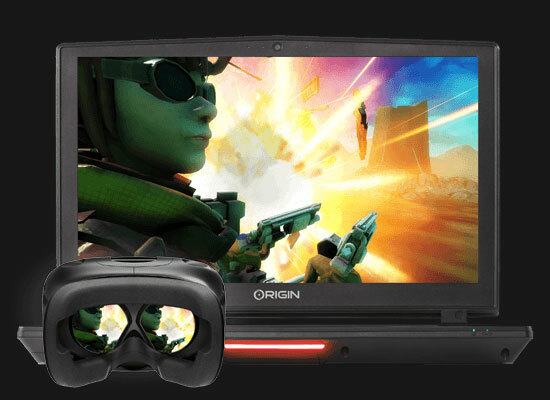 Whether you're using the Oculus Rift, Windows Mixed Reality headsets, or the HTC Vive, take VR to the next level of immersion with your ORIGIN PC. For a low-profile, the matte black, matte red, or glossy white panels are some of the options that you can select from for your EON15-X. These clean panels are perfect for those who desire simplicity with their laptop design. Sometimes even a killer paint job is not enough. 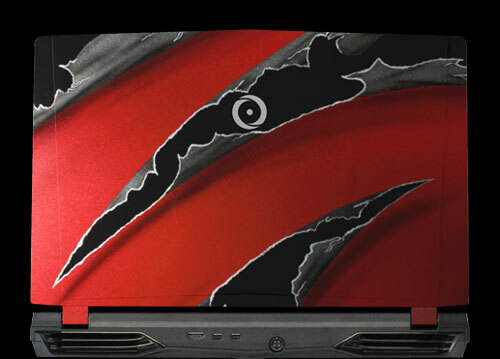 Take the reins and send us your custom logo or artwork and we'll paint it onto your EON15-X gaming laptop. 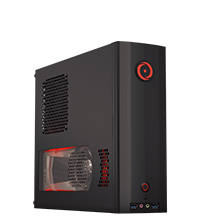 Want a detailed high-resolution ORIGIN PC inspired design? Choose from one of our HD UV designs to have a unique design printed on the lid of your EON15-X. ORIGIN will personalize your EON15-X gaming laptop with your company name and logo front and center in the lid of your laptop. 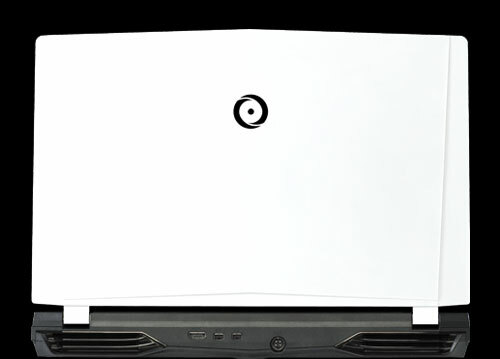 It's your EON15-X for your company, so it should have your name on it. 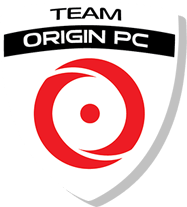 ORIGIN PC provides the highest level of customization in the industry. In today's world your gadgets are a part of you. ORIGIN PC understands the relationship between a user and their laptop, that is why we offer configuration options that allow you to put your own custom design on your rig. From the fully customizable multi colored backlit keyboard with almost unlimited color options to the 4 separate lighting zones on the system, the EON15-X changes to fit your style. The EON15-X has a built-in 6-in-1 media reader to manage all your storage devices including all the latest media cards. Take control with instant access to buttons to adjust the volume of your system, the backlit display, or even to turn off or on your Wi-Fi and Bluetooth wireless connections with ease. Our job does not end when your EON15-X gaming laptop arrives. Every ORIGIN PC system is backed by a lifetime service agreement. When you purchase your EON15-X, you will receive dedicated service, including labor, from our trained and experienced staff whenever you need it. We offer support via email, online chat, 24/7 US based lifetime phone support, and more.